The Cost of selling without an Agent! .. 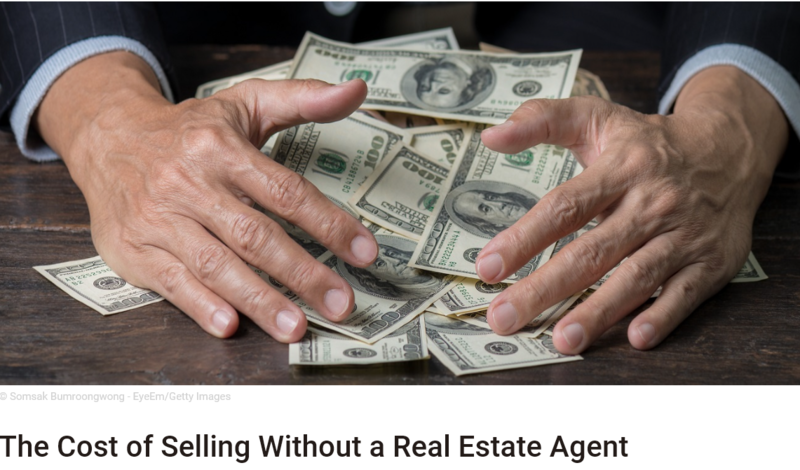 The Cost of selling without an Agent! Homeowners seem to be hearing the message: Only 8 percent of sellers last year—an all-time low—chose to sell their home themselves, according to NAR’s 2017 Profile of Home Buyers and Sellers. That figure has been falling since 2004, when 14 percent of homeowners sold their own homes. Of the share of FSBOs last year, 38 percent of the homes were sold to a buyer that the seller knew, such as a friend, neighbor, or family member. The majority of FSBO transactions, however, were sold to buyers the owner did not know. Seller's if you are thinking about selling yourself; ask yourself, "Is it more important to save $7,000-$9,000 on the commission or to make an extra $30,000 or so on the final sale price?